SOS ultra dry hair! 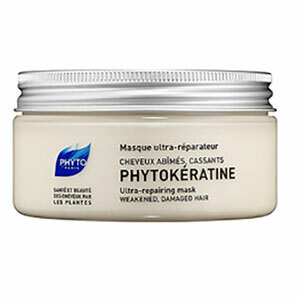 Mask Phyto rich and creamy treats deeply your hair fibre. It repairs and restructures very dry and damaged hair with Shea butter. You will fall for its efficiency! It regenerates and revives hair while adding a touch of shine. Use once a week, washed and towel-dried hair, apply the equivalent of a nut product on the lengths and ends. Leave in 5 to 15 minutes depending on the condition of the hair and rinse. Collection Hair tips: More hair is drained more easily the product will penetrate.